JTD is a perfume blogger who is looking for a new discussion of perfume's subjectivity, considering both the juice and the the wearer as the subjects. He posts at Frgrantica, Basenotes and Profumo. He's a guest nose at katiepuckriksmells.com. The crossroads of the masculine chypre, where the chypre meets the traditionally male virtues of perfumery doesn't create anything revolutionary but it does give us some brilliant and eminently wearable perfumes. Here's how it works. The chypre is a genre defined by structure: bergamot, cistus, oakmoss. It's the organic chemistry of perfumery: a staggering number of possibilities, an enormous range of outcomes. Masculines fragrances (fragrances made for and marketed to men) are a genre defined by sensibility, specifically timidity. Masculine perfumes are generally Less Than. Perfumer Bernard Chant, known for having created two of the most bad-assed chypres in history, Grès Cabochard and Clinique Aromatics Elixir, describes the tendency. “Men, for a long time, have been afraid to use something too different. They will accept only small departures, small new steps.” Broad strokes here, but fragrances for men are typically diminished versions of women's perfumes, whether in concept, composition or both. An unintended consequence though is that in a thoughtfully considered masculine chypre, Less Than can also mean deliberation, nuance and careful editing. Take the implicit chiaroscuro of the chypre--its ability to hold opposing ideas in check without blurring or blending. Ask it to speak more conversationally than the dramatic, loud feminine chypres (eg. Estee Lauder's Azuree, Scherrer's Scherrer, Miss Dior.) The result is nuanced fragrances that center on juxtaposition but not outright conflict. Carthusia Numero Uno (sharp but smooth.) Guerlain's Coriolan (handsome and pretty.) Hermes's Equipage (cozy but aloof.) Perhaps the best examples of this 'taming' effect can be seen in the Lauder men's/women's versions of the same fragrance. Aramis 900 , an herbal, rose chypre is a quieter, scaled-back version of Clinique's Aromatic Elixir. Similarly, Aramis's Devin is a smoother, less jagged take on Lauder's Alliage. In most cases, diminishing a fragrance to make it palatable to a masculine ego would make me cynical, but I'm upbeat about these chypres. They seem more tailored than butchered. The tailoring imparts a quiet richness that doesn't so much say manly as gentlemanly. 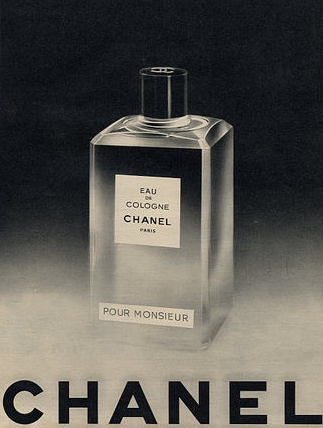 At the top of the chypre heap has always been Chanel's Pour Monsieur. It's held out as the most calibrated, least adorned chypre. Bright but shadowy, citrus/mossy at the start, ambery/sweet and warm later in the day. It reads as strong in that it has a bold, simple overall shape but it has minimal sillage and therefore doesn't seem forceful. It's the pitch-perfect hybrid of the clarity of the chypre and the intentionally short reach of the masculine. My only problem with Pour Monsieur is it appears to have suffered at the hands of IFRA-induced reformulation. It seems faded. It's like the eau de cologne version of an extrait. At its best it comes off as a tease. There are plenty of other great men’s chypres available. 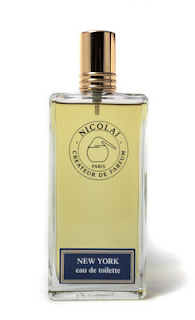 De Nicolai’s New York bridges the chypre and oriental genres, winding up with the best of each. [Caveat: I’ve just smelled a current bottle, a whispy orange cologne. If it is a true example of the current NY, it is a fatal reformulation.] Aramis by Aramis and Caron’s Yatagan match a chypre base to bold elements like leather, woods and herbs. Etro has the quietly odd yet endearing Palais Jamais, a rubbery, smoky chypre that uses birch tar and bergamot to conjure Earl Grey tea. The cologne-style chypres for men, similar in construction to Chanel pour Monsieur, tend to find an easy balance of the two genres: bright and citrusy (cologne) and skin-scent muskiness (chypre). This appears to have been an ideal of the French mid-20th century masculines, evidenced by Monsieur de Givenchy, Eau d’Hermès and the underestimated Rochas Moustche. All three have a more contemporary English counterpart, Miller Harris’s Terre de Bois, which could be seen as a nouveau chypre with a vetiver base. And then there’s Lancome's Sagamore. My current favorite men's chypre. Lavender gives Sagamore a sort of fougère camouflage that it sheds early in the topnotes. 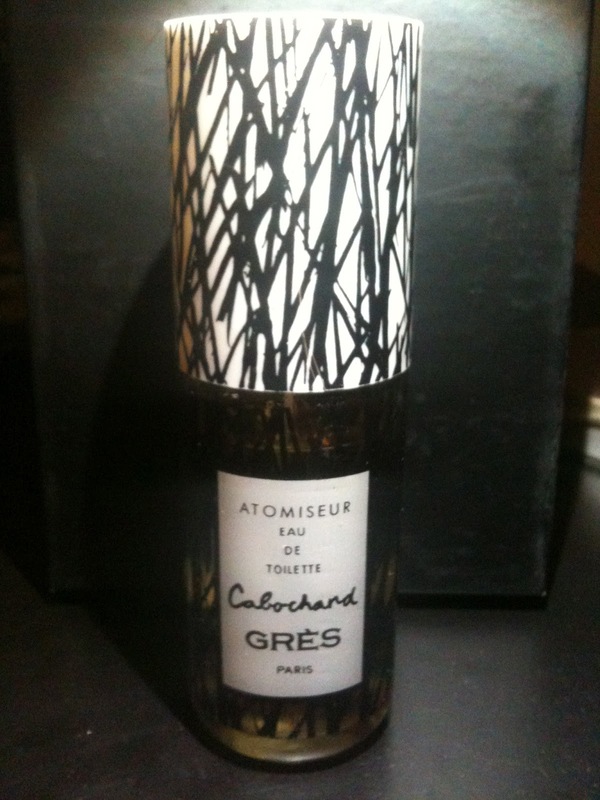 After that it shows the best of the masculine/chypre hybrid. It balances glassy sharpness with quiet. It's distinguished and identifiable, but keeps very close to the skin. It has a sharp floral-herbal edge that gives a cool soapiness. Sagamore shows a complexity, an armful notes of fairly equal intensity and density. It's not muddled, it's complex and deliberate. Its winning quality is an unfussy ambiguity. It was reissued as the only masculine in Lancome's La Collection line. Where Pour Monsieur's lightness is the unfortunate result of reformulation, Sagamore's quiet is intentional and suits the cool, crystalline quality. Sagamore is the anti-dandy and exemplifies the best of the classic gentlemanly chypres. For the man who wants to wear an exquisite fragrance while still following the masculine maxims of discretion/valor and speak softly/big stick, try Sagamore. It’s discontinued but still available if you search. It’s as if a backdoor was written into male gender software and the masculine chypre is accepted along with the worst of the blanched aquatics, loud/bland aromatic fougère and limp woodies. However it’s avoided the gender censor, the masculine chypre lineage has managed to survive to the present and proves that masculine fragrance has more to add to the world than fresh, sport and cool.